It is widely believed that cars, and the fumes that they emit, are not so great for the environment. What’s more, we need our trusty source of transportation to go about our day-to-day lives. Fortunately. there are eco-friendly offerings that have become increasingly popular among drivers looking to lessen their own carbon foot print. Cars in this category include hybrid cars, compact cars and electric cars. On the other hand, there are vehicles that contribute more than their fair share to the pollution problem. The American Council for an Energy Efficient Economy (ACEEE) has assembled a list of the twelve vehicles that emit the highest amount of pollution. This list includes everything from exotic sports cars to luxury sedans to trucks and SUV’s. Mercedes-Benz dominates the list with five of the least eco-friendly cars on the road. But we must note that three of the five cars are just variations of the same G-Class series SUV. Toyota/Lexus had the second highest number of vehicles on the list with three full-size trucks. Other vehicles that made the list were full-size commercial vans from Ford, luxury cars from Bentley. If you are looking for a “greener” car, take a look at the selection on Swapalease.com. Swapalease.com has been helping people who want to switch up their ride for more than 15 years. Headquartered in Cincinnati Ohio, Swapalease.com is an online marketplace that allows drivers to list their current lease and helps match them with buyers looking to take over the remainder of that lease. Both parties get what they’re looking for all with the convenience of online shopping. A family car is the vehicle that transports kids to school, parents to work, kids to soccer practice and ballet and occasionally makes the long-haul for a family road trip. Having a vehicle that can meet the needs of each member of the family is important. Driver assistant technology is becoming more important in cars across all segments. Examples of safety features with driver assistance are blind-spot monitoring, automatic breaking sensors, forward and rear collision warning systems, and adaptive cruise control. These features take safety to a whole other level and help eliminate some of the human error that causes accidents to happen on the road. 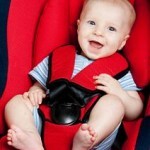 For families who are constantly on the go, a car that is good on gas is a must. Take some eco-friendly cars into consideration such as the hybrid versions of the Ford Fusion and the Hyundai Sonata. A good family car depends on what you and your family are specially looking for. But keeping in mind the above factors will help you make a smart decision. For a great variety of vehicles at great prices, check out Swapalease.com. Swapalease.com is an online marketplace that allows drivers to list their current lease and helps match them with buyers looking to take over the remainder of that lease. Both parties get what they’re looking for all with the convenience of online shopping. Each year in the U.S., there are over 37,000 deaths from car accidents. This is a sad truth that is the result of careless driving and failed safety features in vehicles. But the car engineers at Volvo are looking to change that. Volvo is touting a “deathproof” car on the market by 2020, according to CNN. This car will be the safest vehicle that Volvo has ever offered. It will feature all of the latest and greatest safety features such as adaptive cruise control, auto lane-keeping assist, collision avoidance, pedestrian detection and large-animal detection. Of course, Volvo cannot guarantee that these vehicles will be death proof. Even the unsinkable Titanic met its match, but the idea of a “deathproof” car will definitely pique the interest of cautious drivers everywhere. But the concept isn’t all that new. According to data provided by the Insurance Institute for Highway Safety, there are already nine cars that have led to no fatalities in the past four years. One of those cars is in fact a Volvo but the list also includes the Kia Sorento and the Subaru Legacy. Nothing beats the smell of a new car. The smell of the leather, the plastic interior features, the upholstery, it all sets the tone for your drive. But if the smell is too strong or offends the passengers, it could deter drivers from purchasing that car. The scent specialists at Ford are sniffing out the best materials to be used in car interiors. Some materials can produce an offensive odor when exposed to different temperatures and conditions. Ford places samples of each material being considered for their vehicles, in sealed glass jars and simulates various conditions a car’s interior might encounter. The samples are heated, cooled, and exposed to high and low humidity levels. Once the samples have been put exposed, the approved smell consultants put their noses to work. The materials are graded on the potency of their smell and whether or not the smell is pleasant. However, each person is different and has a unique opinion on the various fragrances. But the overall goal is not to make the cars smell good, just to make the cars not smell bad. Thanks to the hardworking sniffers at Ford all of the vehicles will be rolling off the lot with that new car smell, that is, until the aroma of Chinese take-out, the kid’s football gear and wet dog ruin it. If your car needs an odor upgrade, check out the options on Swapalease.com. Swapalease.com has been helping people who want to switch up their ride for more than 15 years. Headquartered in Cincinnati Ohio, Swapalease.com is an online marketplace that allows drivers to list their current lease and helps match them with buyers looking to take over the remainder of that lease. Both parties get what they’re looking for all with the convenience of online shopping. The newest edition of the Honda Civic was named the 2016 North American Car of the Year by 53 independent automotive journalists in the U.S. and Canada. This honor is awarded to the most outstanding new vehicle of the year. The top three finalist in the car segment were the Chevrolet Malibu, the Honda Civic and the Mazda MX-5 Miata. The cars were judged based on their design, comfort, handling, safety, innovation and driver satisfaction. The winner, the 2017 Honda Civic, was announced on Monday, January 11th. The Civic won with a score of 276. The runner up, the Mazda MX5 Miata came close with 223 points and the Chevy Malibu took third place with 205 points. The newest version of the Honda Civic is completely re-designed civic in comparison to its predecessors. The 2017 Civic is lower, longer and wider for a more “sporty” exterior. In addition to an amped up outside, on the inside the new Civic was given a turbocharged engine wielding 174 horsepower while still giving the driver the same 35-mile-per-gallon fuel efficiency that made the civics so popular. Interested in one of these cars? Check out the deals on Swapaleas.com. 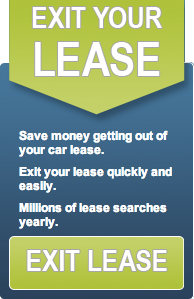 Swapalease.com is an online marketplace that allows drivers to list their current lease and helps match them with buyers looking to take over the remainder of that lease. Both parties get what they’re looking for all with the convenience of online shopping.